Help! I don’t understand all the options for registering a .moe domain. What is the difference between Landrush and General Availability? This is a question we hear quite often, and rightfully so as registrars around the world are struggling to keep up with the 100s of New Top-Level domains becoming available. We hope the information below helps. The General Availability Period starts on 2014/7/22 at 02:00 UTC. This period is open to all on a first come first serve basis. Registrations will be done in real-time after the start of the period and names will be allocated immediately. Why Should I Apply in the Landrush Period? I’ve Decided to Wait for General Availability (Go Live) Can I Submit My Request Early? Yes, and please do! We recommend finding a registrar that will take pre-registrations for the General Availability period. By putting in your registration request in advance you can essentially get yourself in front of the line for the General Availability Release. Let’s say both you and Customer B both want “otakuclub.moe.” If you submit your pre-registration today and Customer B waits until 02:00 UTC on July 22nd to try to register the name (and there are no other applications at other registrars) then you will likely be awarded the name because your registrar will flood our system with the registration request the very second we open for business. If you submit your pre-registration request at Registrar A today, and customer B puts in her registration at the same registrar tomorrow, your submission should hit the registry system first and you’ll be allocated the name. (this how it usually works, but it may vary registrar to registrar so please check with the registrar). The additional cost for Landrush is worth it and basically risk free. If you really want a specific name and you feel you might have some competition this will offer you the best chance to get the name you want. We expect many popular names will be gone by the time General Availability (Go Live) starts. Remember, names purchased in Landrush will renew at the regular rate. If you don’t want to put in a Landrush request, then it is definitely worth placing pre-registration request though a participating registrar. Please feel free to leave comments questions below or get a hold of us though your favorite social channel. Forget Cyber Monday; Say Hello to Cyber “moe” Day! Where in the World are .moe Domains? Interlink Co., Ltd. is the Registry Operator for the .moe top-level domain and has a contract with ICANN, the governing authority of the global DNS. As a registry operator we'll be able to provide Internet users with an alternative to .com or .jp domain extensions. 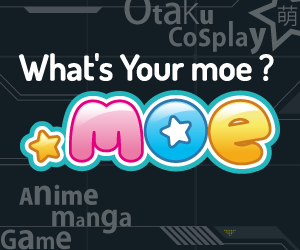 The .moe TLD may be more relevant domain name alternative for your topic and is specifically intended to help you connect with your audience. Interlink Co., Ltd. is a Tokyo based company founded in 1994. Interlink runs a successful ISP business and offers an wide range of services including Internet connectivity services, hosting services, and domain registration services. Interlink has been developing the .moe Top-Level Domain to become a top global namespace since 2012.